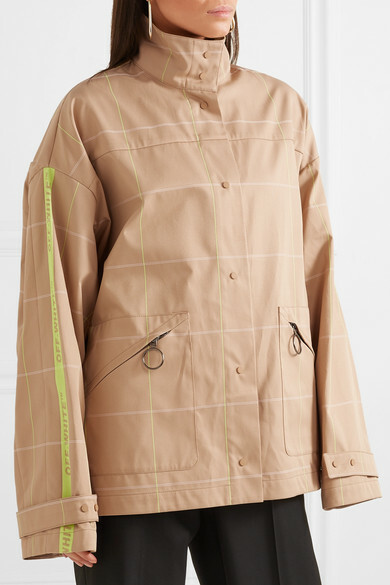 For Off-White's Resort '19, Virgil Abloh imagines what every day clothing would look like when it's influenced by activewear. 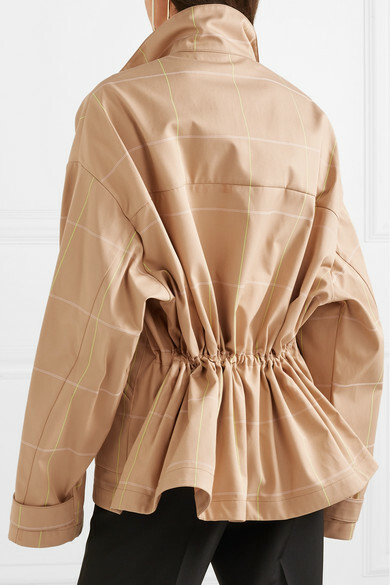 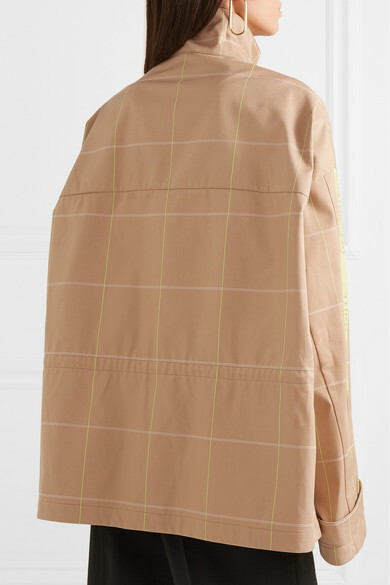 True to the designer's vision, this beige jacket is made in a boxy silhouette from structured twill and patterned with contrasting pink and neon-green checks. 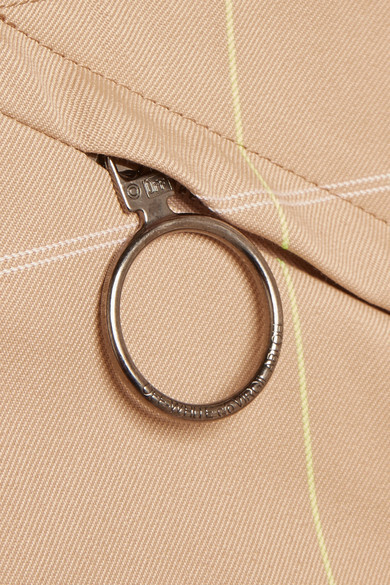 The brand's signature logo is on the sleeves. 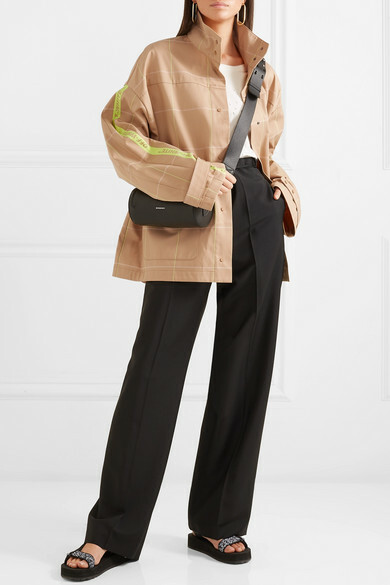 Shown here with: Jil Sander Pants, Burberry Shoulder bag, Prada Sandals, Jennifer Fisher Earrings.